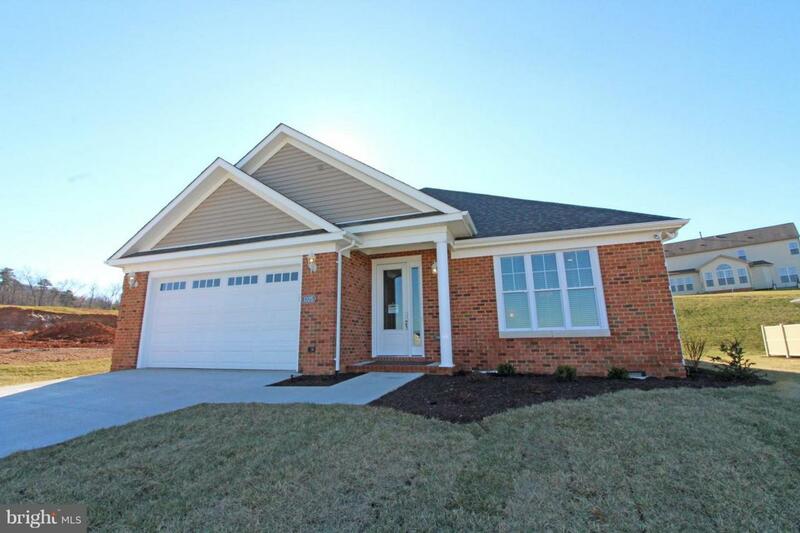 1325 Imboden Drive, FRONT ROYAL, VA 22630 (#VAWR118070) :: Eng Garcia Grant & Co. BRAND NEW Alan Toothman Construction Patio Home- Open and spacious 2201 sq ft Single-Level Living home. featuring 3 Bedrooms, 2 Baths. You'll love the beauty of the spacious kitchen with bar seating open to the living room, perfect for entertaining, 9-foot ceilings, hardwood floors, crown moldings. Graciously sized Master suite with tiled shower, dbl vanity sink, relaxing air massage tub, and walk in closet, convenient 3-foot-wide doorways, high energy efficiency standards ,over-sized two car garage. Convenient location adjacent to the Leach Run Parkway in Happy Knolls Creek Community.